The Wanderbelt - a MONEY BELT designed especially for travelling WOMEN. Are you WORRIED about losing your valuables while travelling? Do you find wearing a standard money belt bulky & UNCOMFORTABLE? Want a SAFE solution that works with every dress style? Attaches to your bra and carries your passport, credit cards and cash DISCREETLY hidden under your clothing. For items you do not need regular access to. Adjustable strap to fit anyone from XS to XXXL. Covers all situations in combination with the MINI WALLET. Designed for EASY ACCESS to your daily spending money, so you do not need to access your big stash of cash in public. Will fit in the pocket of your trousers. Use it how you want to: Can be securely attached in many different ways through 2 SUPER HANDY loops at the back, for example to your belt loop or to the Wanderbelt for extra security. Check out this video to see all the features! With the combination of the Wanderbelt and the Mini Wallet, you can travel carefree knowing your valuables are safe. 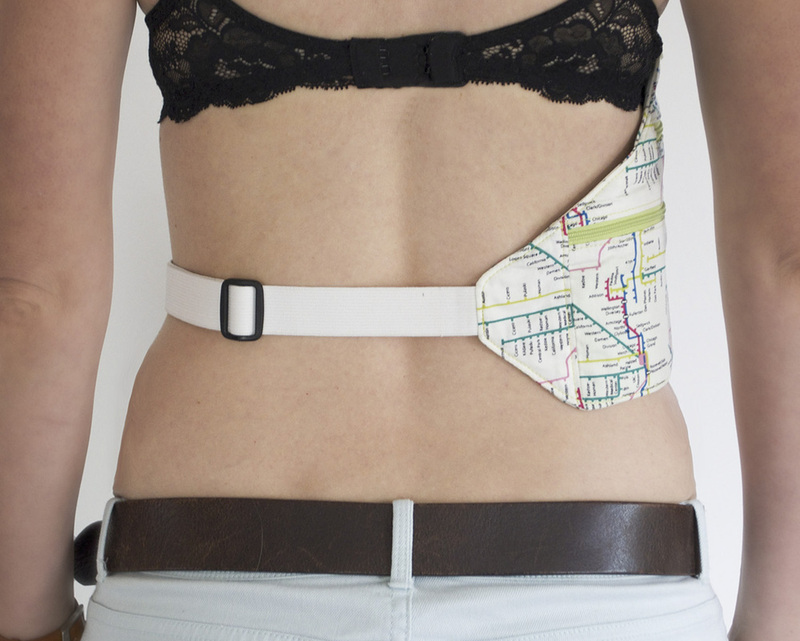 Putting the Wanderbelt on is a breeze, just simply attach it to the side of your bra with the press button. Then wrap the adjustable strap around your waist and close the buckle. In case you do need access to your passport in a public place, just simply reach in under your shirt from the bottom, undo the press button and buckle and pull the Wanderbelt out from under your shirt.
" I was searched at the airport in Egypt and they didn't notice it." "The Wanderbelt has been super handy here in Phnom Penh, it helps me keep my valuables close to me at all times." "I totally forgot I was wearing it!" Would you like updates on our progress? Follow us on facebook and twitter!